Dry, rough skin doesn't stand a chance with this Organic Sweet Almond Oil from Spain. Pressed from the kernels of certified Organic Sweet Almonds. Organic Sweet Almond Oil is the most popular all-purpose organic carrier oil because of its pleasant texture, lack of scent and rich proteins. It is good for all skin types, but especially beneficial to those who have very dry, rough or sensitive skin. 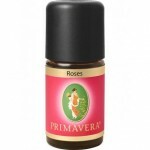 Excellent as a massage lotion, or as a basic organic body oil to apply to your body after a bath or shower. A Primavera bestseller!